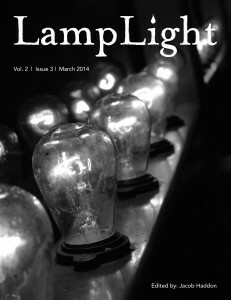 LampLight Magazine is a Quarterly Magazine of Dark Fiction. Featuring such writers as Robert Ford, Elizabeth Massie, Kelli Owen and Kealan Patrick Burke. Each issue contains dark fiction, an interview with the featured writer, a part of a serial novella and non-fiction tracing the roots and influences of the genre. And, Issue 1, featuring Robert Ford and Kevin Lucia is free, download and check it out today! 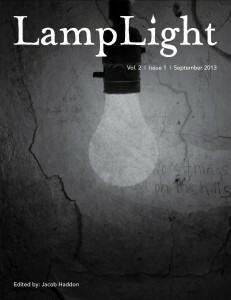 Follow LampLight on Twitter, Facebook or our Mailing List.